“We should work together on something” can be one of the scariest sentences ever heard in the entertainment industry. Especially if you have had the experiences most of us have had. As an Actor/Webseries Producer, I know first hand that this little platitude usually leads to a project that falls apart or, after hours and hours of homework on one side, never actually gets started at all. And, more often than not, it ends with hurt feelings. But that doesn’t have to be the case! 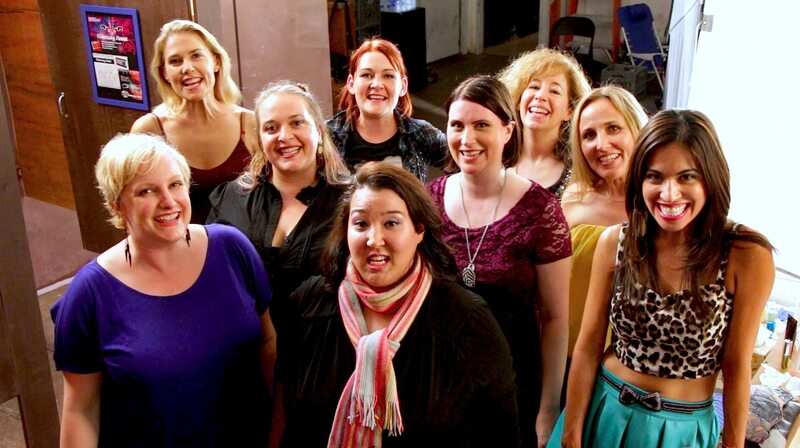 My most recent production is two companion shows, The Ladies & The Gents, in which we brought over 120 webseries and non-webseries people alike together to produce 40 episodes of the shows (and 20 ancillary episodes). And we shot it in 4 days. On a bathroom set we built. It was a huge undertaking. It could have gone horribly wrong at many points, but it didn’t! Not just because there were 5 Producers (Stephanie Thorpe, Avi Glijansky, Steven Lekowicz, Robb Padgett and myself), but because we had a plan of attack going in. Obviously we still encountered our share of speedbumps, but we learned from them and can’t wait to put what we’ve learned into future seasons. 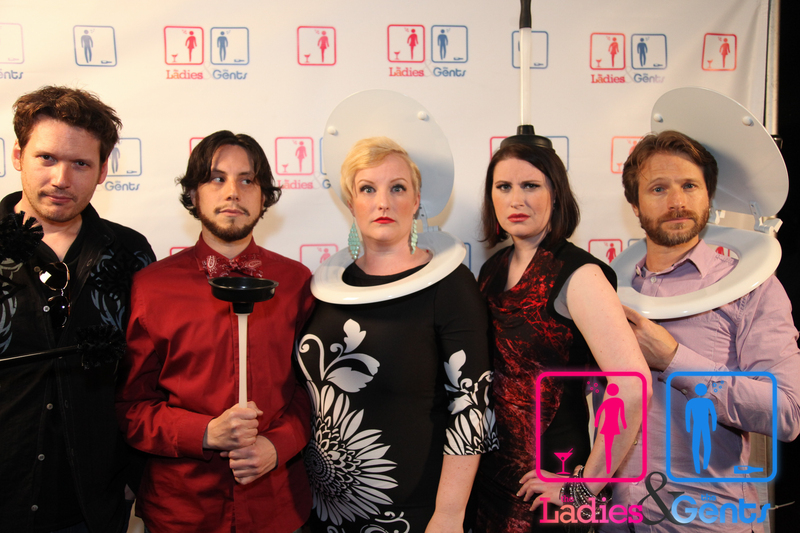 If you’re not familiar with it, The Ladies & The Gents is a fixed-camera show that takes place in the Ladies Room or Men’s Room (respectively) of a douchey Los Angeles club. The episodes are short – between 45 seconds and 4 minutes – and all are presented in a single take. If you want more info, check it out at http://theladiesandthegents.com/! For the purposes of this discussion, we’re going to talk about collaboration on a large scale, not just a few people. This project was designed from the beginning as a collaborative effort. We purposefully gave people the room to be creative within a set of guidelines. The Ladies & The Gents isn’t serialized, more like 40 separate stories. If somebody becomes a weak link, it wouldn’t bring the entire show down. If someone doesn’t show up on set, it may cause some stress but its not the end of the world. Not all projects are like this. If you’re trying to tell a story with a single voice but have 100 people writing the script, your collaboration is likely going to end in an unfinished project. If you have people you want to work with, make sure the project you embark on is something where each individual can maintain some autonomy but also feel like they are contributing creatively to the project as a whole. The feeling of working together towards a goal is amazing, especially when you see the project finally come to life. Picking someone you are friends with to work on a project together makes sense. But before you start down the road to collaboration, ask yourself if you are okay if the friendship doesn’t survive the project. It can happen. Hopefully on top of being friends and working well together, you also argue well. It’s cheesy to say, but knowing how someone argues or expresses frustration is a very good thing when working together. Much like in a relationship, collaborators have to learn how to argue. Learning how to move past the argument and find a solution is a skill not everyone has. If you can find people to work with that are able to do this, keep them close! This is just true for all of production, but when you first start collaborating on a project, be very generous with the amount of time you think it will take to get things done. Deadlines are always helpful, but even then, be prepared to wait. The more people involved, the longer it can take for things to get done or information to be passed along. No matter how many emails/texts/conference calls, it’s not enough. There’s no such thing as over-communication while working on a project. This isn’t the same as micro-managing what someone else is doing, this means making sure everyone is on the same page, everyone understands their jobs and what will happen if they don’t complete them. Most problems can easily be solved by checking in with your production team. This also falls under “choosing your collaborators wisely” as you may have different communication styles. Communication can literally be the hardest thing in a production. Remember, communication is a two-way street! It’s remarkable how easy it is to forget that people can’t read your mind. 5. Have Specific Rules, But Be Flexible! We had lots of rules for this project – rules for the Writers (No longer than 3 pages, the Bathroom Attendant can’t speak, no fantasy characters, the camera can’t move) and rules for the Directors (you must shoot in a single take, there will be no cuts, you have to rehearse before shoot day but you can’t rehearse with the Bathroom Attendant actor ahead of time, you will only have 1 hour on set to shoot your episode). Knowing when to be flexible with the rules is something you’ll be called upon to do time and time again. We had scripts that were over 3 pages but fantastic so we let them through. We had Directors that had really good reasons for wanting to move the camera but we said no. One of those decisions effects the entire show and one doesn’t, obviously this makes the decision a lot easier. When examples like these came up that went against the guidelines we had set in place, we took the time to consider whether it was would be worth bending the rules as we didn’t want to be dogmatic. But the rules were not just an aesthetic choice, they were an integral part of making sure the shoot ran smoothly and that time and resources were used wisely. For example, in the post production process, it wasn’t feasible to have every director stand over the editor’s shoulder, so we culled each episode down to a couple of takes and allowed the directors to give their input as to which one should be chosen. Or, as another example, we needed to shoot 10 episodes a day, so every director was given 1 hour on set to get their episode shot. It’s very important to establish the rules early so that everyone involved knows what they are in for. We sent an email to every interested person with the rules clearly stated and let that be their guide for deciding to sign on. This is something I learned way before this production, but it’s worth sharing over and over again. Knowing how to craft a good email is a skill and it’s a skill every producer should have. The biggest problem I’ve run in to is when people try to be too clever or to “professional” with the email. Get too clever and people won’t remember the pertinent information, get too “professional” and people may think you are a jerk, cold, aloof, demanding, etc. Keep your emails friendly and fun, but make sure you are concisely getting the info across. But no matter how carefully you compose an email, be prepared for people to not comprehend any of it. Like I said before, communication is hard. Like I said, collaboration doesn’t have to be a dirty word. In the past, a project this large would have left me nonplussed, unsure of where to even begin. But with some guidelines and a lot of time spent on pre-organization, a big collaborative project can be less like herding cats and more like herding slightly more well-behaved and creative cats. Tanya is an actor, director and sometimes writer, but mostly all-around new-media type person. By day, Tanya is an office worker extraordinaire, by night she is a Webseries producer who knows exactly how much food to order for a shoot. Because of both of these jobs, she's well-versed in email writing and supply ordering. Born and raised in Washington State, she still loves apples and tractors. Next Article My Start as a Stylist!